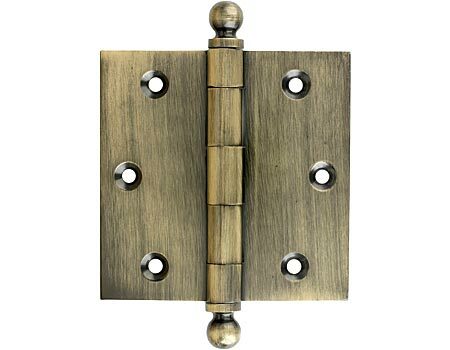 The Antique Brass finish is raw brass or brass plating which has been chemically darkened to simulate aged brass. Antique Brass finish is typically a medium brown with golden undertones, and can vary significantly from one product to another. To ensure that the finish is right for you, samples should be ordered in advance. Common finish codes for antique brass are 005, US5, 609 and AB. House of Antique Hardware has its own antiquing department, and we can apply the process to almost any un-lacquered brass item. If you can't find exactly what you want on our site, contact us about the kinds of special services we offer.